Kent and I recently attended an author’s conference sponsored by Hay House, called “I Can Do It!”. The weekend conference is filled with lectures by Hay House authors. I’m glad we attended, as it gave me an opportunity to meet and be exposed to a lot of new authors as well as to attend lectures by authors I’ve had familiarity with for a long time. 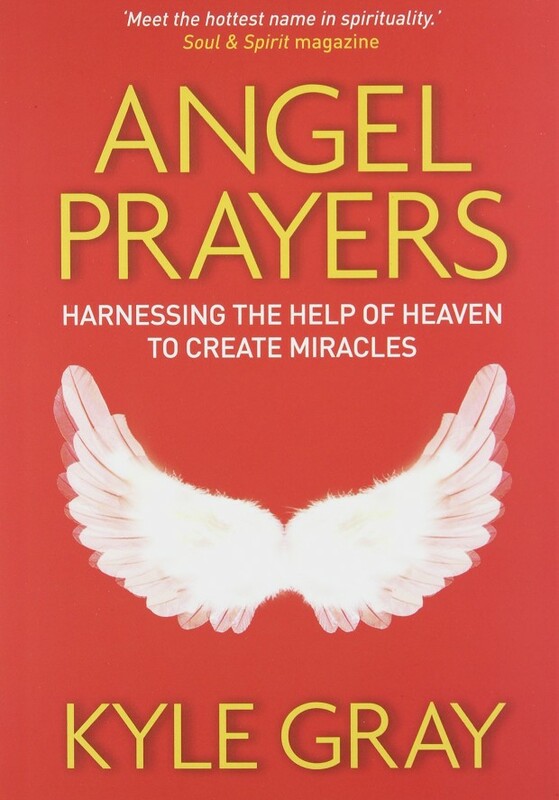 One of the sessions we attended was conducted by Kyle Gray, the author of Angel Prayers as well as other products. Following is my review of Angel Prayers. I like self-help books that are easy to read, give me a little insight into the author’s background, provide useful information, and outline suggestions for me to incorporate into my life. Angel Prayers delivers on all of my requirements. The book is filled with quotes, headings, enumerated suggestions, and other literary techniques to make this not only a book that someone can easily pick up and read in a day or so, but also lends itself to becoming a reference or workbook, if the reader so chooses. I also like the size of this book. It is 5” x 7”, which makes it an easy book to read and carry around. Part I is titled “The Miracle of Prayer”. This section provides an overview regarding the importance of gratitude and providing tips on how to pray. Part II is a directory listing of angels. Each angel is introduced, explanation is given regarding each angel’s role, and a specific prayer to communicate with each angel is provided. Part III is titled “Directory of Prayers” and provides examples of prayers by category (e.g., abundance) that readers can incorporate into their own lives and tips for modifying the prayers for individual use. I don’t agree with the author’s perspective on every topic (e.g., karma, p. 55), however, I still feel this is a very useful book. I recommend this book for someone who is interested in living a life of gratitude and welcoming angels into your life. Note: I have received no compensation for this review and have no affiliation with Kyle Gray or Hay House. Thanks for your post, T. So great to hear from you! Ironically, I don’t remember you mentioning this during your reading. I must not have been ready to receive information at that time. I think it’s great we’re both drawn to Kyle Gray’s work as a resource. I thoroughly enjoy Kyle’s style–both in person and in his book. I bought another of his books at the same time, but haven’t taken the time to read the other title, yet. Let me know if any other books about angels resonate with you. Have a wonderful day!